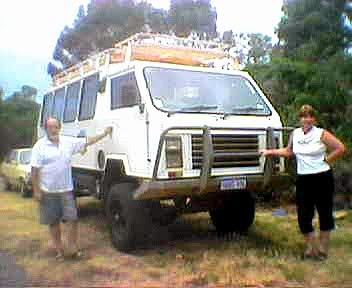 Our 4WD motorhome was built on a 1994 13 seat XT model Oka bus body, formerly used as a tour bus in Western Australia. It had spent most of its time touring the Kimberly area and had clocked up half a million kms, so it was in need of some intense TLC. 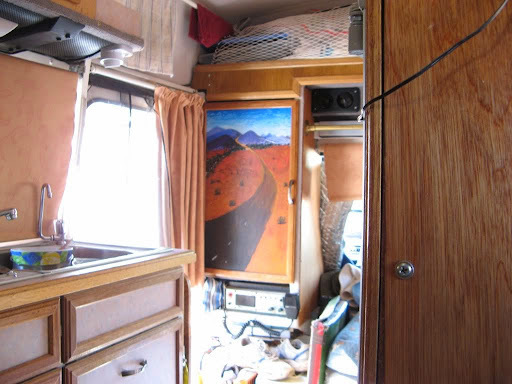 Fortunately many of the major mechanical components had been replaced or repaired during its working life so we could focus most of our time building the motorhome aspects. The only major mechanical work we had to do was on the springs and suspension. 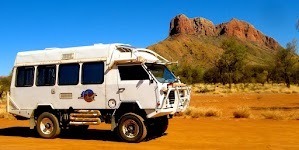 The completed conversion, back up in the Kimberley in 2010, where our Oka had spent most of its working life. During 2004 we removed the seats, built a raised roof and fitted it out with all the domestic facilities for 2 people, with the aim of obtaining full self-sufficiency for remote travel for up to 2 weeks at a time. 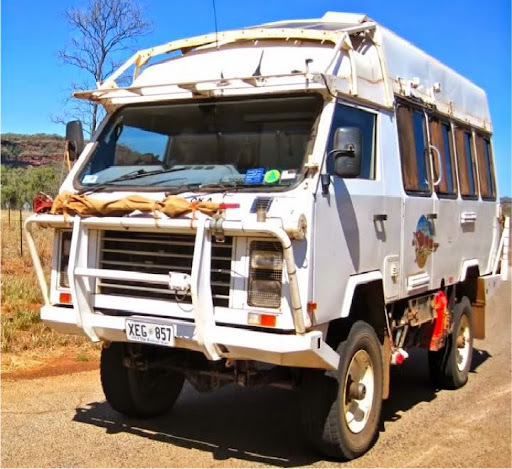 Since its successful inaugural trek in 2005, we've spent many happy months touring the outback and made plenty of upgrades and repairs to it. These are described in other entries on this blog, see the right sidebar for links. Internal views of our Oka after conversion. For details of our motorhome specifications and original construction phase please visit our entry on this site . 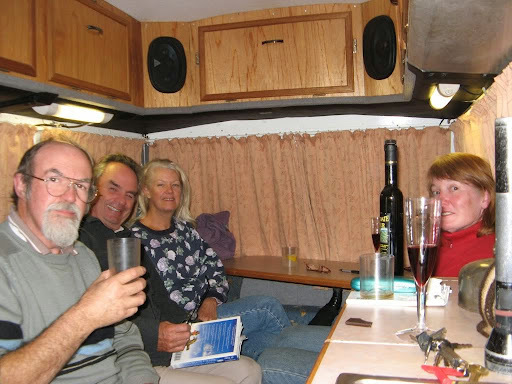 If you'd like to contact us or would like more information on our motorhome please email us at dandjribbans at internode dot net dot on and leave a message.